Notice about Job Scams (posted on March 6, 2019) A scammer recently contacted several candidates by using parts of their profile that were publicly viewable (personal website URL for example) and claimed they found them as an Employer on VeganJobs.com (to lend credibility). They were never an approved employer. This scammer presented a fake work from home opportunity, asked to do an interview via Google Hangouts chat, and ultimately asked for bank info. Because of this, we’ve made changes so that fields like your website address and socials, and Introduction, is no longer viewable by the public. We will be adding settings to allow you to enabled these for public view if you wish. Some candidates will want to provide a public Introduction and make it easy for someone searching for “Plant-based Health Coach” for example to be able to reach out to you without having to join as employer and get approved. Don’t be fearful and let scammers stop of you from having a web presence (to the degree you are comfortable), just be be skeptical anytime you’re contacted. As marked below each field, your Last Name, Resume File, Intro, Email, Website/Social links, and information added under Education and Experience is only accessible to employers that we have hand approved. Everything else (First Name, Photo, Location, Title and Category Tags) are publicly viewable to everyone else. We ask that only job seekers who identify as vegan post profiles on our platform – in addition to our goal of networking vegans, employers obviously will be assuming applications and resumes on our website are from vegans. 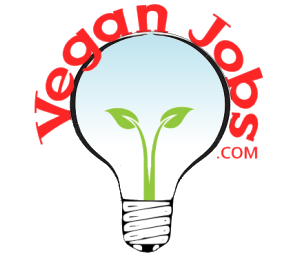 If you’re not vegan, we ask you please use one of the other 1000’s of job sites on the web.